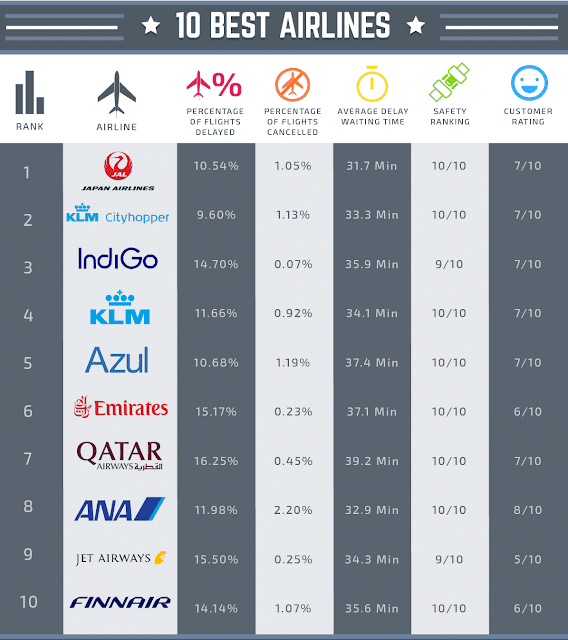 Most air travelers know to allow plenty of time to find a parking space if they plan to park their car at the airport. Now, however, passengers who drive to Düsseldorf Airport in Germany can leave their car at the curb and have it parked … by a robot. 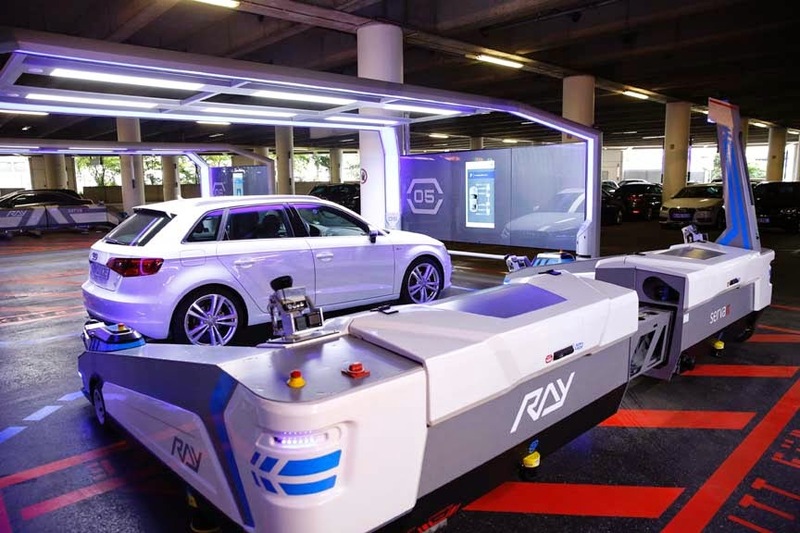 Dubbed “Ray,” the parking robot was officially placed into operation at Düsseldorf Airport (DUS) on June 23, making DUS the first airport in the world to employ an intelligent robot parking system. Using a system called “DUS PremiumPLUS-Parking,” travelers leave their cars in one of six specially designated “transfer boxes” in a parking garage near the airport terminal. 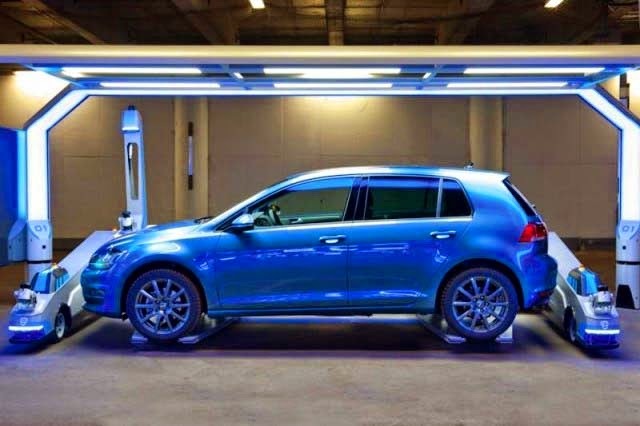 Before leaving the garage, they use a touch-screen to confirm that no passengers are in the car, indicate when they want to pick up the car upon their return, and whether they are traveling with carry-on or checked luggage. Ray then measures the vehicle, picks it up, and parks it in a rear part of the building. 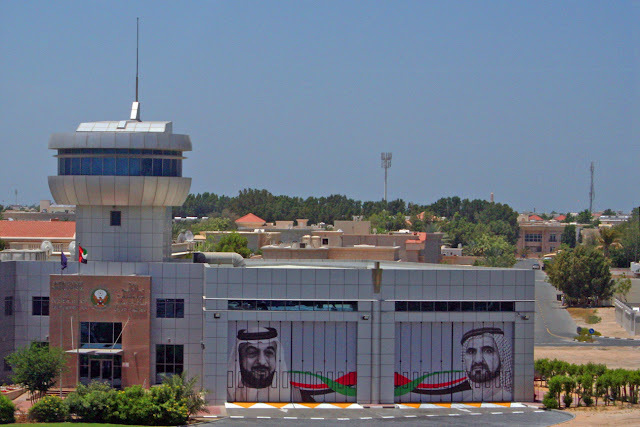 Passengers can expedite the process by reserving an individual parking spot before the trip via an online booking system. During that process, they provide vital information including when they will pick up their car and whether their visit to Düsseldorf Airport is associated with a flight and an absences of several days, or whether they are visiting the airport for only a few hours. That information enables the system to select an appropriate parking slot. Predictably, “there’s an app for that” which passengers can download for iOS and Android operating systems. Ray is connected to the airport’s flight data system, and by matching the stored return trip data with the airport’s current database, Ray knows when the customer will come for the vehicle. The vehicle is then deposited in one of the transfer boxes on time. If an itinerary changes, the traveler can easily and quickly communicate the changes to the system via the app. During the first phase of Ray’s deployment 249 parking spots will be available. If customers embrace the technology, DUS will consider expanding the system, which was designed for easy integration with existing parking structures. 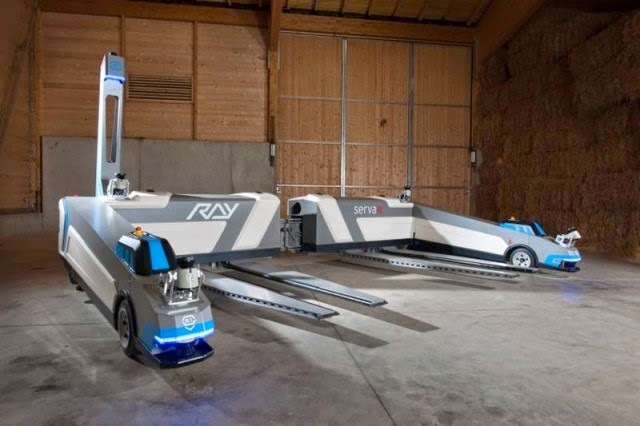 The system is produced by serva transport systems GmbH in the Bavarian town of Grabenstätt and operated by SITA Airport IT GmbH, a joint venture of Düsseldorf Airport and SITA, a worldwide provider of air transportation industry information communication technology. Thank you for making some excellent points. However, as with anything, one must count the cost. As I have blogged about previously, I have not found the cost of shared airport shuttles -- in terms of additional time spent -- worth the modest monetary savings. Read more at http://www.travelpro.us/2013/11/do-shared-shuttles-really-save.html. Other travelers will feel of course feel differently depending on the purpose of their trip, the value they place on their time, and other factors. 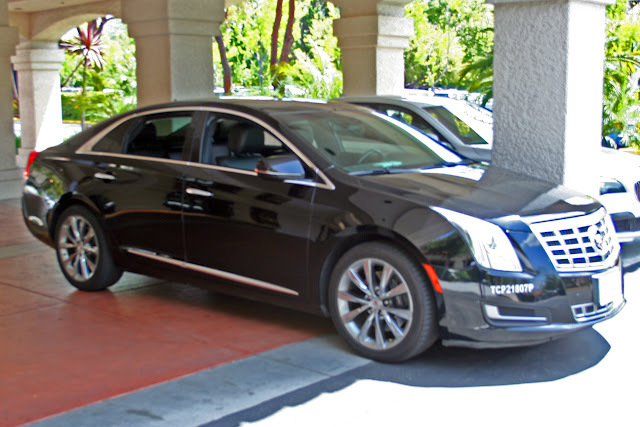 I have often used executive cars instead of driving my own and parking at the airport, simply because the cost of doing so and returning home by taxi actually saves money (and hassle) as opposed to driving, parking, retrieving my car, paying for the parking, and driving home after a long trip. We must each make our own decision, of course, so more information is always good. Thank you for sharing. Wow! It's so nice. I didn't see this type of robot. This post is informative for me. Thanks for sharing this post.